The kitchen is one of the rooms that we spend most of our time in. 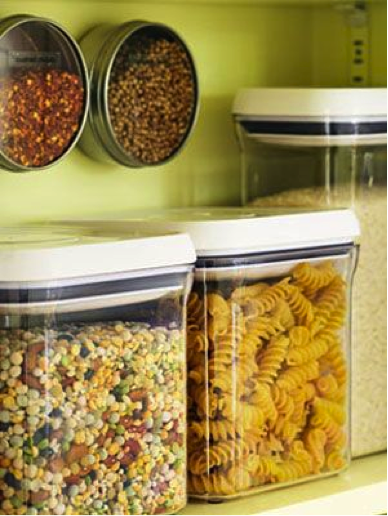 Having a well-organized pantry can simplify your life in more ways than you think. Where to begin? We have you covered! Assess your pantry – Look for expiration dates, items that have been left opened, things that you no longer use, and multiples of one item. Purge, throw away and donate to soup kitchens or food shelters. Stick with what you regularly use and need. Keep go-to items at eye level – Place these items in an area that is easy to spot to save you time when you’re in a rush. Invest in labels and plastic containers – For items that are large in size (flour, rice, pasta) place in clear, sealed, plastic containers for easy identification and preservation. Write legible labels and place in a visible area. Group items – Pair similar food groups in the same areas for easy spotting. Be sure to place items back where they belong to maintain organization! Shop small – Although there is a common misconception that buying in bulk saves you more money. Overtime the items that are left unused tend to expire, thus defeating the purpose of buying more of one item. Purchase what you know that you will use! Previous Post Earn extra money from your home!